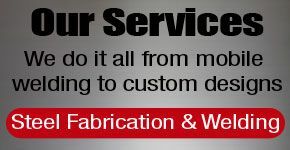 Metal Fabrication Vancouver | About Us | J & J Metal Works Ltd. The mission of J & J Metal Works Ltd. is to provide high-quality work and to assure customer satisfaction with our steel fabrication and welding services. We get the job done with care and our clients have come to expect professional and personal service. Your job will be done right the first time with trained and certified experts who are ready to work on any project, big or small. From beams to sinks, we treat every job with importance.